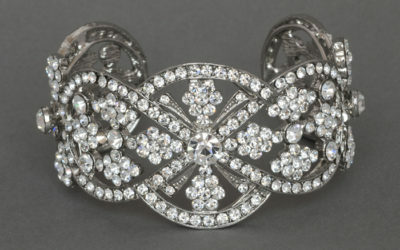 This Crystal hinged belt is a perfect addition to any gown. 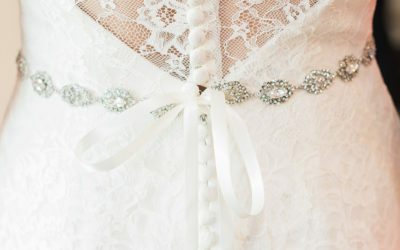 Comes with adjustable satin ribbon closure. 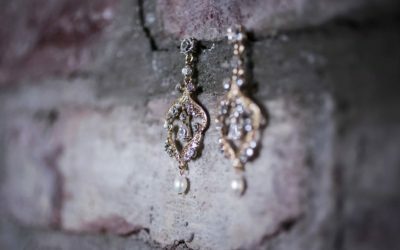 Offered in gold or silver, these chandelier earrings offer the perfect balance of crystals and pearls. 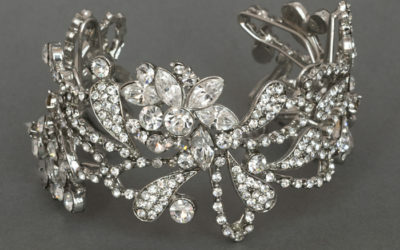 A delicate adjustable bracelet with Swarovski crystals. 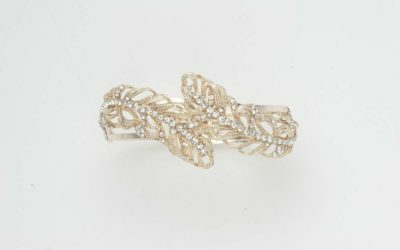 Perfect for brides or bridesmaids. 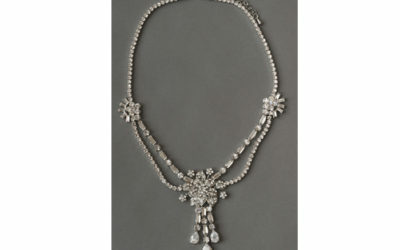 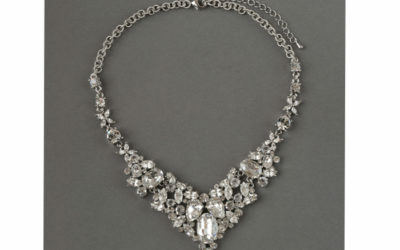 Marilyn Statement Necklace – Heavily clustered crystal necklace inspired by silver screen Goddess, Marilyn Monroe. 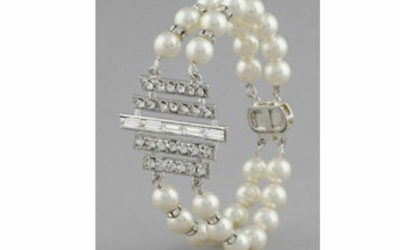 Swarovski pearl bracelet with vintage sterling clasp and bold crystal pendant. 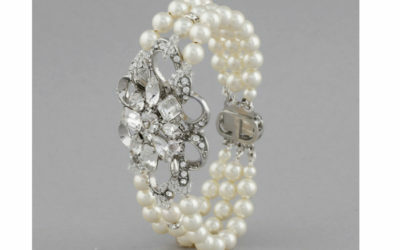 Art Deco brooch meets classic elegance in this Swarovski pearl bracelet. 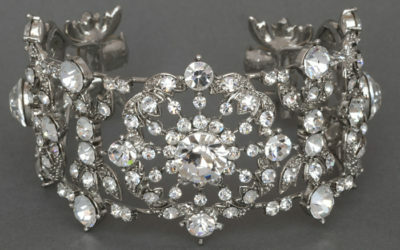 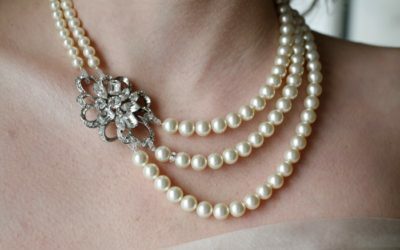 These are customized to fit and boast a lovely sterling vintage clasp. 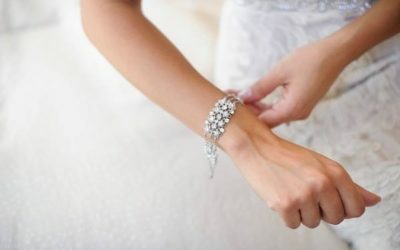 A bold crystal cuff..not for the faint of heart!